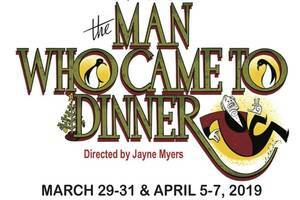 Stony Hill Players announces the opening of “The Man Who Came To Dinner” a hilarious play written by George S. Kaufman & Moss Hart . 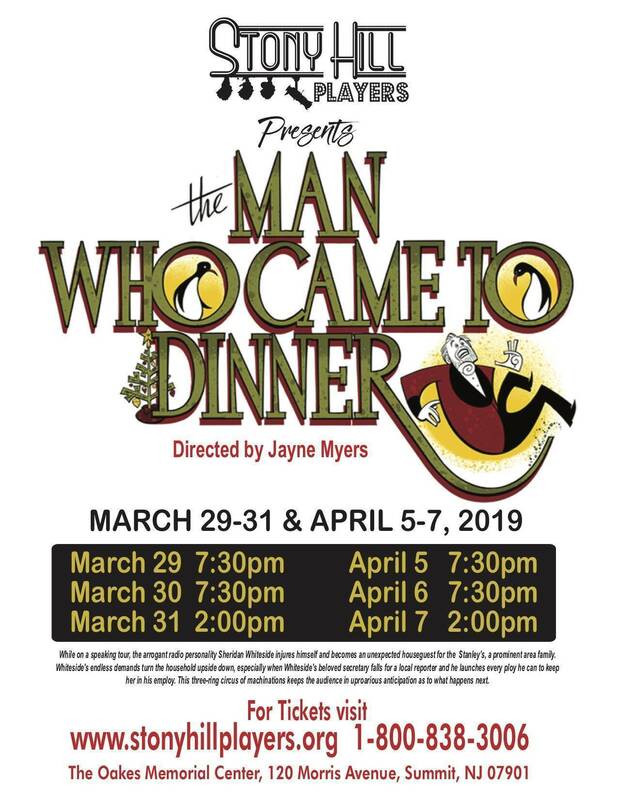 Performances are at the Oakes Center, 120 Morris Avenue, Summit, NJ 07901 March 29, 30, 31, and April 5, 6, 7 with show times Friday and Saturday evenings at 7:30pm and Sunday matinees at 2pm. Tickets are $20 adults and $15 kids, and are available at the door or can be purchased in advance on-line at stonyhillplayers.org. While on a speaking tour, the arrogant radio personality Sheridan Whiteside falls on the icy steps and becomes an unexpected houseguest for the Stanley’s, a prominent area family. Whiteside's endless demands turn the household upside down, especially when Whiteside's beloved secretary falls for a local reporter and he launches every ploy he can to keep her in his employ. This three-ring circus of machinations keeps the audience in uproarious anticipation as to what happens next.